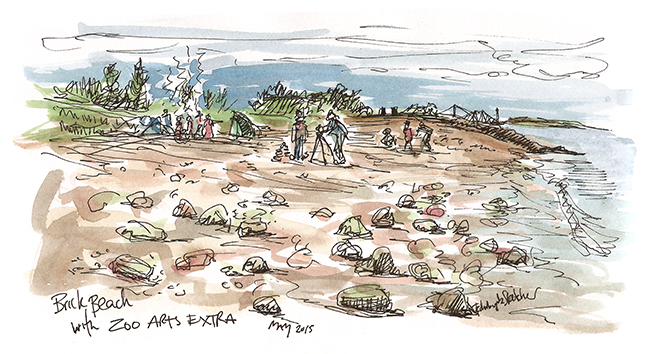 Recently I took part in a beach walk with children and young adults from the North Edinburgh Arts group, ‘Zoo Arts Extra’. 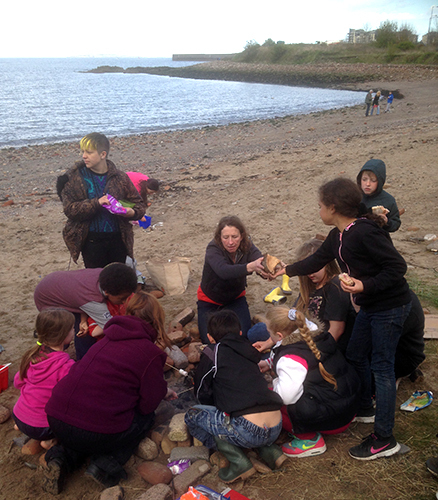 We visited Granton’s ‘brick’ beach, so called because of all the corroded red bricks found along the coast line. Before we set off we watched some slides of environmental artists such as Andy Goldsworthy and Tony Plant to inspire us. On the way we passed through Granton’s new housing development, past the Gas Works and the board walk water area where 2 swans have made a nest. Once on the beach we set up camp for the day, arranging a circle of bricks and quickly getting a small fire going. 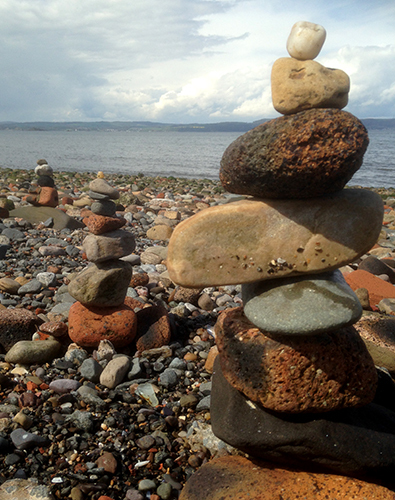 Below are some of the photos from the day, as we made various works of art: balancing stones, forts, spirals and circles using drift wood and shells. 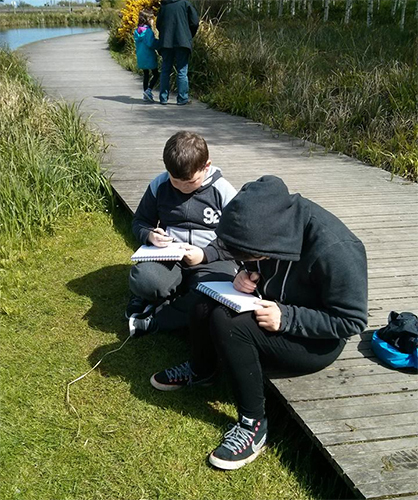 We had a great time and the children really got into and expe#ressed themselves with their creations. The rock climbing and toasted marshmallows were also a big hit!! Click HERE to see a stop motion video on the Zoo Arts Extra Facebook page. 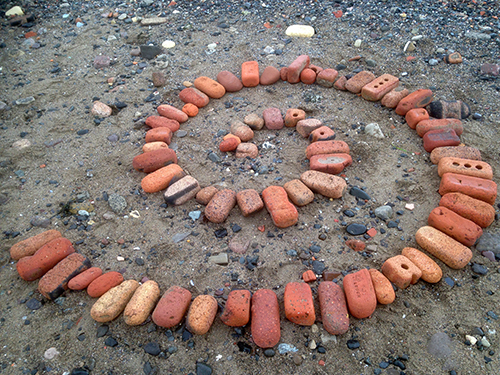 I made the animation with Declan, Joshua and Dylan with the above spiral of bricks on the beach, and my camera phone. 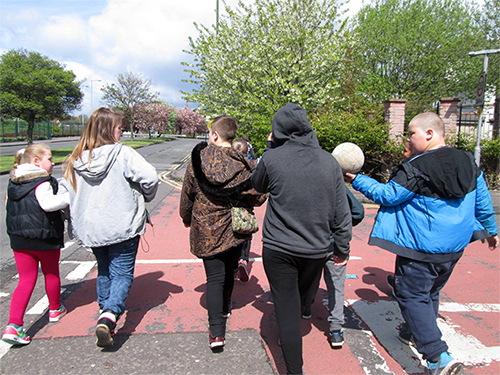 Take a look at the links below for more photos and information about the day. Mary McNab liked this on Facebook. Samansa Chen liked this on Facebook. Eileen McGee liked this on Facebook.